You’ve put together your pitch deck, and you have an idea of what you will say when you stand up in front of that investor group or audience. This is a big moment and the outcome could make a big difference for your startup. Are you ready? We offer pitch review sessions to raise your pitch-confidence for your upcoming presentation. We provide an audience, professional advice on your presentation style and execution, and suggestions on the content, design and flow of your pitch. The session is recorded so you can review your performance and progress.  Programs looking for a better way to prepare their cohorts for demo days and corporate incubators providing their employees pitch coaching have used our bulk review services. We can scale from 15 to 500 one-on-one pitch reviews.